Life's A Beach. Can You Dig These 10 Spots? Now that you've made the move to the OC, can you smell the ocean breeze? Isn’t it lovely? There’s so much to explore, so many things to do. Don’t know where to start? We’ve got you covered. Locally sourced DIRECTLY from our brilliant residents, here are the TOP TEN MUST-DOs in Orange County. Take a peek into the coolest coastal ecosystem at the tide pools. You’ll get to meet ocean life close and personal while taking a gorgeous stroll down the California coast. Don’t forget to pop into the Ocean Institute to see what new and exciting discoveries are being made. Photo courtesy of California Tide Pools. With locations in Newport Coast and Irvine, there's no reason to skip this one-of-a-kind cuisine. Javier’s is known for it's AMAZING Mexican menu and a unique Jalapeño Margarita that’s truly unreal. The ambience speaks for itself with elegant candle lighting and beautiful sunset views. Photo courtesy of Javier's. Jump on a quick boat ride to the local island of Catalina for a day full of excursions, dining, shopping, and golf. This boat ride takes you on a relaxing round trip to and from the island. Keep your eyes open for dolphins and ocean wildlife! If you've never been to the Happiest Place on Earth, it's time! Right around the corner in Anaheim, Disneyland Resort offers the well-known theme park to locals and visitors alike. SoCal residents can even score a sweet discount on their ticket purchases! This iconic park is a bucket list experience. The Aliso Creek Riding and Hiking Trail passes through the heart of Mission Viejo from South Laguna to Rancho Santa Margarita along an 18.5 mile corridor. Here, you can enjoy hiking, biking, inline skating, and horseback riding in the coastal mountains of Orange County. The best part of the trail? It runs all the way down to the water! Perfect for weekend exploring and getting some exercise in the permanently gorgeous SoCal weather. Photo courtesy of vikemaze on TrailLink. Make your way to some of the best microbreweries in the area. You’ve got to check out Artifex, Pizza Port, Lost Winds, and Left Coast Brewing Company for local craft beers. If the unique brews don’t fill you up, the delicious food will! Photo courtesy of Lost Winds. From day to night, this place has it ALL. Go from paddle boarding excursions and bike rentals to the best bites and bar scene in the area. Visit the famous Slapfish for some delicious fresh-caught fish. C Kerrs customizes breathtaking tours around the peninsula. Dock & Dine makes dining out an adventure from the comfort of your boat. 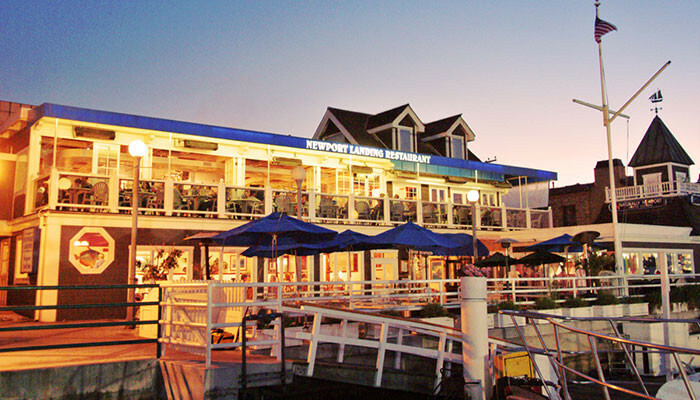 Some of the best harbor dining establishments are 3 Thirty 3 Waterfront and Newport Landing Restaurant. More into the bar scene? Check out Baja Sharkeez, American Junkie, and Malarky’s Irish Pub. Photo courtesy of Visit Newport Beach, Newport Landing Restaurant. Need to get away from the hustle and bustle? Take a relaxing picnic day at Irvine Regional Park. Do you have little ones that get bored easily? They won’t here with paddle boat rides, picnic areas to unpack your homemade bruschetta, and a petting zoo with pony rides. Stay inland this weekend and enjoy a local treasure. Photo courtesy of OC Parks, Irvine Regional Park. When you're a couple of minutes away from the coast, you HAVE to explore the beaches. Find some amazing private coves in Laguna and explore in Crescent Bay, Thousand Steps, and Victoria Beach. Plenty of photo ops! Get your feet in the sand on the shore. Photo courtesy of Visit Laguna Beach, Crescent Bay Beach. Need some retail therapy? Skip the excursions and visit the best mall in OC for upscale shopping with over 250 boutiques and 30 restraunts. South Coast Plaza features Tiffany & Co, Dior, Balenciaga and Gucci to name a few. Grab a latte and visit familiar favorites like H&M and Nordstrom's, as well. Bet all that sightseeing made you pretty hungry... Check out LA's TOP 8 Places to Eat. We’d love to see your amazing adventures! 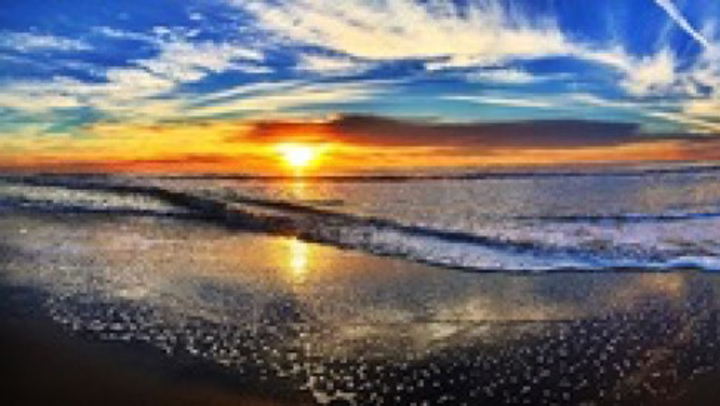 Tag us in your photos and show us what you LOVE about living in Orange County! Want to move to this amazing area? Check out available homes here.